He graduated from Freeman Army Air Field, Seymour, Indiana, S/N: O-832545. He was then at the Millville AAFd Combat Crew Training Station – Fighters, and then the 78th Fighter Group 082nd Fighter Sqdn flying P-51’s. Click here for a picture of his plane. S/N: O-831319. He was killed in a flying accident out of Laredo (TX) AAFd Gunnery School while taking off in a P-40 on February 21, 1945. S/N: O-833461. Graduated with the Class of 44F. He was a pilot assigned to the 380th Bomb Group 531st Bomb Sqdn flying his missions in the Southwest Pacific Area. Larry Rice was his instructor. He had Basic at Macon and graduated from Moody Fld, GA. O-833681. He went to the 17th Tow Target Sqdn. at Wheeler Field, Hawaii. After V.J. Day he was transferred to the 95th Fighter Sqdn. also at Wheeler Field. He flew P-47’s until he was discharged as a Capt. in Dec. 1946. He was recalled and flew during the Korean war. Served as a P-47 pilot with the 56th Fighter Group, 8th Air Force in England. Thomas Stubbs was his instructor. Basic at Cochran, GA and Advanced at Napier Field, AL. Trained for P-40, P-51 and B-24’s. Stayed in AF Reserve and retired in 1973. Flew 28 missions in a B-24 in the Pacific area. Flew a ‘sitting duck raid’ over Hiroshima and Nagasaki the day after the atom bomb was dropped to see if the Japanese knew the war was over. 2nd Lt. He graduated from Moody Field, GA. S/N: T-63735 in June 1944. Was assigned to Fighter Gunnery School at Laredo Army Air Field at Laredo, TX. and the Hunter Field 3rd A.F. Staging Wing (per Third Air Force Staging Wing, Hunter Field, Georgia). He graduated from Freeman Field, IN, and was in the 386th Bomb Group 552nd Bomb Sqdn. December 44 to August 1945. He was a pilot of a B-26 and later an A-26. He was stationed in Beaumont, France, St-Trond, Belgium, and also later flew with EATS (European Air Transport Service) out of Paris -Villacoubly flying C-47s to Hamburg, Berlin, and Vienna, etc. Darwin Clise was his instructor at Douglas. He graduated from Freeman Field, IN. S/N: O-828501. He went to B-24 school and then to the 15th Air Force in Italy, where he served with the 454th Bomb Group 739th Bomb Sqdn. He served February 28, 1943 until October 20, 1945. He finished 20 years in the Indiana National Guard, 38th Div. He was still flying his Piper Seneca as of Oct. 20, 1993. Retired as a Lt. Col.
Art “Bill” Gooden was his instructor at Douglas. He was delayed in training and graduated with class 44F. He flew 22 missions as a B-24 Co-Pilot in the 458th Bomb Grp. at Norwich, England. He returned and was discharged in Sept. 1945. 1st Lt.
Ben Thurman was his Instructor at Douglas. Paul graduated from Freeman Field, O-828173. He was assigned to Chanute Field, IL. He flew 9 B-24 missions for the 8th AF, 446th Bomb Group. During the Korean War he flew multi-engine aircraft as a test pilot. He retired in 1974 as a Major in the Air Force Reserves and as a Systems Engineer in Aeronautical Systems Division, WPAFB with over 32 years of service. He was in the 445th Bomb Group 703rd Bomb Sqdn. He was a roommate of Paul Boyer. He had Basic at Macon, and graduated from Craig Field, S/N: O-831341. He was in the 358th Fighter Group 365th Fighter Sqdn. While flying a P-47D (S/N: 42-27226) on Mar. 16, 1945 he was shot down near Breidenbach on his 9th mission and spent 46 days as a prisoner of war in Germany. He retired as a Lt. Colonel. He was a roommate of Paul B. Bradley. He graduated at Columbus Field, MS as a 2nd Lt. He was assigned as a B-24 pilot with the 44th Bomb Group 67th Bomb Sqdn and flew his full tour before he went into P-47’s in the 8th A.F., 358th Fighter Group 365th Sqdn. in England. Kenneth Landis was his Instructor at Douglas. He had Basic at Macon, GA and graduated from Napier Field, AL. Later he was in the 15th Air Force, 98th Bomb Group in Italy, and flew 15 missions in a B-24 before the war was over. 1st Lt.
S/N: O-831347. Retired disabled Mar. 16, 1945. He graduated from Napier Field, AL. with the Class of 44F, S/N: O-834572. Orville Pierce was his instructor at Douglas. Cagle graduated from Columbus, MS. S/N: O-831656. He trained in B-17’s in Sebring FL. He served in the Pacific area at Northwest Field in Guam in the 315th Bomb Wing, 501st Bomb Group (VHB). By the end of the war he flew 15 missions in B-29’s from Guam over Japan. He was recalled during the Korean War but served in a legal capacity. After his service he practiced law in Knoxville. He graduated from Freeman Field located at Seymour, Indiana as a 2nd Lt. He was possibly assigned to Reno Army Air Base for Air Transport Command flight training in the Curtiss C-46 Commando. He was a F/O graduate with the Class of 44F from Columbus Field in MS; S/N: T-63287. He was assigned as a B-24 pilot with the 450th Bomb Group in the Fifteenth Air Force (Italy). Born March 29, 1920 in St. Louis, Mo. S/N: O-831671. He retired disabled from the USAAF Sept 06, 1945. Dale Blankenship was his Instructor at Douglas. He graduated from Moody, S/N: O-833714. He was checked out on B-26’s at Shreveport, LA. He flew the South Atlantic and up to England. He had 25 missions with the 9th A.F. 344th Bomb Group. Lillich and Woods were his Instructors at Douglas. He graduated from Moody, GA. O-833715. He was a C-47 pilot with the 403rd Troop Carrier Group 13th Troop Carrier Sqdn based in the Southwest Pacific. Was in the Philippines and flew P.O.W.’s out of Japan. He graduated from Napier Field, AL. O-834591. He was sent to the Instructor School, and then instructed back at Napier Field. He was discharged at the end of the war. He was assigned to the 13th Air Force Bombardier Group in the South Pacific, completing forty-four missions in a B-24 bomber, as a ball turret gunner. He received the Air Medal with two oak leaf clusters. May 24, 1922-Aug. 18, 2009. Of Dilley, TX. Twin brother of Roy Earl Dillard. Roy graduated from Moody Field, GA as F.O. T-63746. He went to the aerial gunnery training base at Fort Myers which was named Buckingham Army Air Field. He was an instructor in Squadron S teaching new pilots aerial gunnery in fighter planes. Either near the end of the war or soon thereafter, he was sent out to the Pacific to fly B-24s because they had more fighter pilots than planes. He graduated from Freeman Field, IN. as a Flight Officer. Was assigned to Hendricks Field located at Sebring FL for B-24 pilot training. John graduated from Valdosta, GA. He served with the 9th A.F. flying P-47’s based in Belgium. Graduated from Columbus Field, MS. S/N: O-831689. Trained to fly B-24’s. He was in the 801st/492nd Bombardment Group 8th Air Force. Fesmire wrote FLIGHT OF THE MAVERICK IN THE SECRET WAR AGAINST HITLER–WORLD WAR TWO CARPETBAGGERS. The Carpetbaggers were a select group of airmen recruited by the Office of Strategic Services (OSS) to fly covert missions. During night flights, he dropped supplies and OSS agents to aid the resistance movements. He was awarded 3 Air Medals. See http://en.wikipedia.org/ for William Colby. Jose Oliveros was his instructor at Douglas. Ernest graduated from Napier Field, AL, O-834604. He served during WWII, then was in the National Guard. He was recalled for the Korean War. Then stayed in the A.F. until he retired in 1967. He graduated from Freeman Army Air Field, Seymour, Indiana. 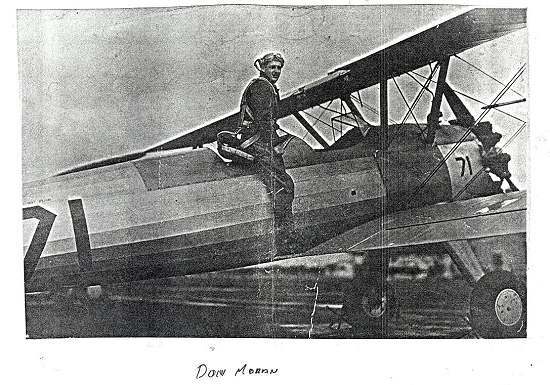 Norman Page was his Instructor at Douglas after he was delayed to class 44F. He had Basic at Cochran Field and graduated from Moody Field, GA. S/N: O-833735. Later he was in the 003rd Combat Carrier Group, 011th Combat Carrier Sqdn and flew the “Hump”. See China Airlift- The Hump Vol. 3. Retired as LTC. S/N: O-835192. He was a pilot in B-17s with the 34th Bombardment Group 391st Bomb Sqdn and flew his missions from England from March 1945 until the end of the war in Europe. He served as a Weather Officer with the United States Army Southern European Task Force in Italy from April 1961 until May 1964. He retired USAF reserves as LTC in May 1965. After retiring from the Air Force, George became the Chief Meteorologist at the U.S. Air Force’s Air Weather Service (Detachment 8, 26th Weather Squadron) at Griffiss Air Force Base in Rome, NY. There he briefed Air Force fighter and jet pilots before their missions and during war exercises. April 7, 1920 – May 2, 2016. 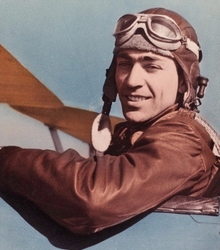 He graduated from Napier Field, AL and flew single enqine planes during the war. He graduated from Napier Field, AL. Assigned to stay at Napier. He was in WWII, Korea and Vietnam. S/N: O-940993. He was a Captain in the USAF reserves in 1958. COL. Graduated from Napier Fld, AL. S/N: O-834611. Sineath was his instructor. He graduated S/N: O-826260 and then instructed twin engine at Freeman Field, IN. He was at Hunter Field in the 3rd Staging Wing during the War. Then served through Vietnam, retiring as LTC. He was also a pilot for Dow Chemical. 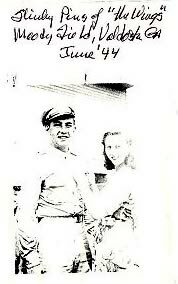 He became a navigator (source: the book entitled Selman Field) graduating with the Class of 44-10 at Selman Field, LA on July 24, 1944. He became a bombardier graduating with the Class of 45-2 at Deming Field, NM on January 13, 1945. Graduated from Freeman Field, IN. S/N: T-62985 as a Flight Officer. He became a B-24 pilot and was assigned to the 486th Bomb Group 835th Bomb Squadron with the Eighth Air Force. On January 21 1945, he was Killed In Action. 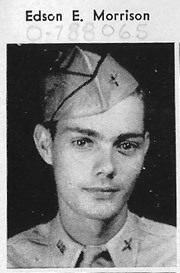 He enlisted 4 May 1943. He was classified at the Nashville Aviation Cadet Classification Center (Non-Flying Facility). He probably went to Maxwell field for Preflight. 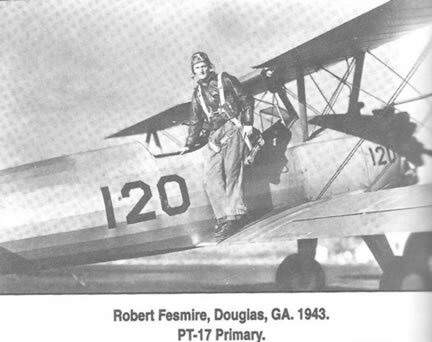 After arriving at Douglas, the AAF decided they had enough pilots and he was reassigned to Airplane and Engine Mechanics School at Keesler Field. He ultimately became an engineer and waist gunner on a B-24 and flew 14 missions from early March 1945 until the end of the war. He was assigned to 453rd BG, 735th Bomb squadron, flying out of Buckenham airfield. He survived the war and ultimately retired from the AF in 1969. He passed away on 4/1/2001. He became a bombardier graduating with the Class of 44-9 at Carlsbad Field, NM on July 1, 1944. He was at March Field (Riverside, CA) Combat Crew Training Station in the 420th Bomb Unit when he was involved in a flying accident in a B-24J (S/N: 42-51035). He graduated at Moody with the Class of 1944-F, S/N: O-833768. He was a co-pilot in the 458th Bomb Group 753rd Bomb Sqdn flying B-24’s. His last mission was to Bad Reichenhall, Germany on 25 Apr 1945. For a crew picture and mission information, click here. He became a bombardier graduating with the Class of 44-9 at Carlsbad Field, NM on July 1, 1944 (source: the book, Bombardier) He was assigned to the 097th Bomb Group 414th Bomb Sqdn and flew his missions aboard a B-17 from Italy with the Fifteenth Air Force. He became a navigator graduating with the Class of 44-9 on June 24, 1944. Flight Officer S/N: T-128461. He then was assigned to the 307th Bomb Group 372nd Bomb Squadron (known as the ‘Long Rangers’), as a crew member on B-24’s flying in the Pacific. S/N: O-834624. He graduated from Napier Field, AL. with the Class of 44F. He was a P-47 pilot assigned to the 353rd Fighter Group with the Eighth Air Force. He graduated from Columbus Field, MS, S/N: O-831742. He was in the 20th AF, 20th Bomber Command, 3rd Air Transport Sqdn. On Mar. 13, 1945, he was co-pilot on a C-46A (S/N: 42-101074) on a cargo mission out of Sockerating, India. The plane was carrying 88 10 Kilo soft-nosed high-explosive shells. The plane went missing (MACR #13015). He is listed on the Tablets of the Missing at Manila American Cemetery, Manila, Philippines. Award: Air Medal. “Bud” Pickett was his instructor at Douglas. He graduated from Napier, S/N: O-832632. He flew P-51’s in WWII in the 479th Fighter Group 434th Fighter Sqdn, and also was in the Korean war. Of WV and later of St. Petersburg, FL. 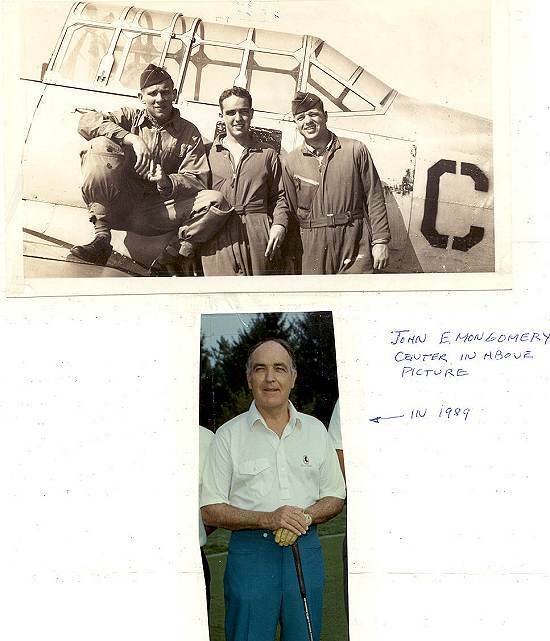 John Sineath was his Instructor at Douglas. He graduated from Dothan (Napier Fld) and received fighter training. However there were too many fighter pilots at that time so he went into flying gliders. He was in the 96th Bomb Group 339th Bomb Sqdn (source: the book Snetterton Falcons). Graduated on August 28, 1944, S/N: O-2069072. He was a navigator in the 449th Bomb Group 716th Bomb Sqdn serving with the Fifteenth Air Force and was KIA on March 31, 1945 (MACR #13486). Graduated from Freeman Field, IN. He graduated as a navigator at San Marcos, TX with the Class of 44-51 on December 16, 1944. S/N: O-2079054. He was assigned to the 382nd Bomb Group 872nd Bomb Sqdn (VHB), as a crew member on B-29’s, but the war ended before the unit could be deployed to the Pacific. S/N: O-830651. He was in the 450th Bomb Group 723rd Bomb Sqdn. He was in the service from March 1943 to September 1945. During WW II, he flew missions out of southern Italy over northern Italy, Germany, Austria and Yugoslavia. He received the Air Medal with Oak Leaf Cluster, the World War II Victory Medal and the Good Conduct Medal. Died Jan 15, 2010 in Monroe, WI. Graduated From Napier Fld, AL. 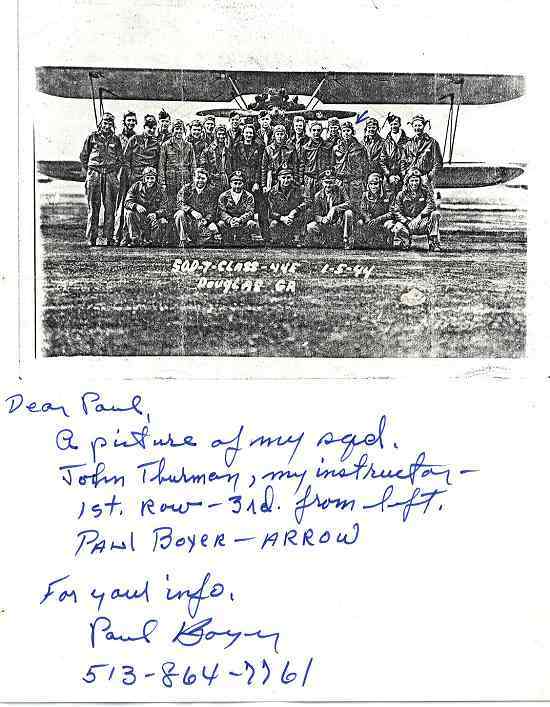 Served in 494th Bomb Group 373rd Bomb Sqdn in the Pacific flying B-24’s. His unit dropped leaflets over Hiroshima before the ‘bomb’. S/N: O-831748. He was in the 094th Bomb Group 410th Bomb Sqdn/333rd Bomb Sqdn flying B-17’s in the European Theater. Click here for his biography.Click here for his missions. He was flying an AT-6D (S/N: 42-85934) with the 423 AAF Bomber Unit, 320th Wing in Walla Walla Army Air Field (WA) when he did a ground loop. See http://www.aviationarchaeology.com/. Graduated with S/N O-834630. While in the 3rd A.F., 348th AAF Bomb Unit at Will Rogers Fld (OK), he had a flying accident when his F-7B (S/N: 44-40622) had a structural failure. He was a graduate of Freeman Field (Flight Officer T-62817). He went to Tyndall Field Gunnery School. Then he was a pilot with the 493rd Bomb Group 861st Bomb Sqdn. He became a navigator, S/N: O-2065590, and was with the 99th Bomb Group 416th Bomb Sqdn. He received the Air Medal with oak leaf cluster. Ken Landis was his Instructor at Douglas. He was in class 44E at Douglas but graduated with class 44F. From there he went to 4 engine school. After the war he joined the Reserve. 2nd Lt.
S/N: O-831755. He was in the 345th Bomb Group 500th Bomb Sqdn. On May 17, 1945 he was co-pilot on a B-25J (S/N 44-30164) on a mission to Formosa. The plane may have been hit by flak but it went missing, and he was declared killed in action (MACR #14447). Royce Corkren was his instructor at Douglas. He graduated from Napier Field, AL. Was then assigned to Randolph Field. Joined the 414th Fighter Group on Iwo Jima a few months before war’s end. He graduated from Napier Field, AL. O-832658. He was assigned to P-40 training at the Venice AAFd Combat Crew Training Station. Ken Landis was his Instructor at Douglas. He had Basic at Macon, Ga. He grad. from Napier Field, AL S/N: O-832660 and was in P-40’s and then P-51’s on Iwo Jima. Discharged as a 1st Lt. in June 1946. He joined the National Guard and in 1950 was recalled to active duty. He rejoined the National Guard and in July 1984 he retired as a Lt. Colonel. He was part owner of the Hanna Steel Co. and flew the company owned King Air 300 and Beech Jet 400 airplanes. John Woods was his instructor at Douglas. Flew B-25’s in the Pacific theater in the 42nd Bombardment Group, which flew in long-range combat missions of over 1700 miles over open sea in support of the Australian invasion of the Japanese oil refinery at Balikpapan, Borneo. He graduated from Napier Field, AL. O-832512. He went into fighters. 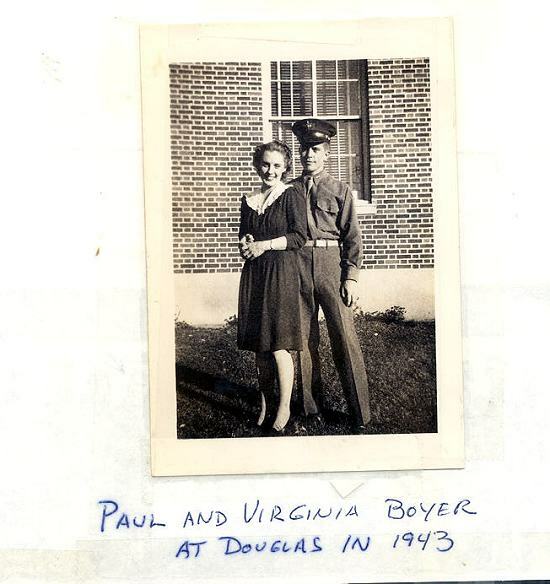 Following training at Clarion College as a U.S. Army Air Corps cadet and his primary training at Douglas, he served as a bombardier (S/N: O-788065) aboard B-17 bombers in the South Pacific with the 42nd Bomb Squadron, 11th Bomber Group.For additional pictures, click here. He graduated from Columbus Field, MS., S/N: O-831767. After receiving training to fly B-17’s, he was assigned to the 384th Bomb Group 547th Bomb Squadron and flew his missions with the Eighth Air Force from England. He graduated in the class of 44G from Freeman Army Air Field, Seymour, Indiana, S/N: O-835513. S/N: O-831769. He was in the 463rd Bomb Group. 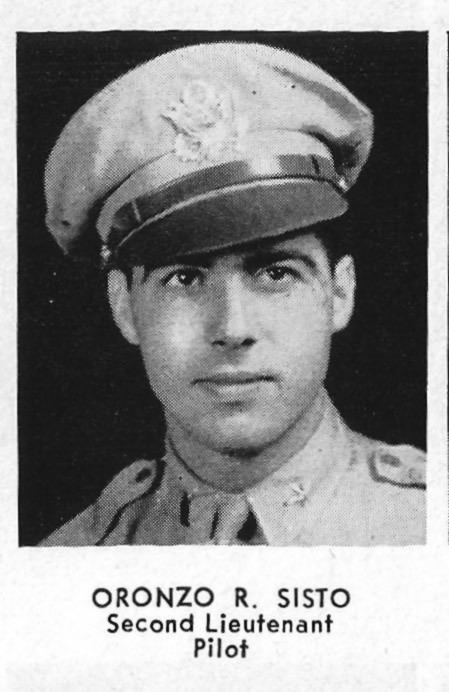 On Dec. 20, 1944 he was the co-pilot of a B-17G (S/N: 44-6110) on a mission to Regensburg, Germany. Over the target, two of the engines lost oil, and all engines started acting up. The crew bailed out. He became a POW in Dulag Luft West (Stalag Luft 1 Barth-Vogelsang Prussia) (MACR #10731). He graduated from Napier Field, AL and was in England about 4 years. retired USAF Lt Col December 1963. S/N: O-832670. He had some excitement by having two flying accidents: one mid-air collision at Waycross AAFd Combat Crew Training Station for fighters in a P-40N (S/N: 43-24040) and one in a RF-80A (S/N: 45-8382) Photo Flight on take-off at the Johnson Air Base, Japan. He graduated from Moody Field, Ga. as a F.O. T-63784, then later received S/N: O-928665. He was assigned to the B-17 Pilot School at Sebring, Fla. He was in the 351st Bomber Group 510th Bomber Sqdn. Click here to see a list of his missions. His squadron was the back up for the squadron of the Enola Gay, which mission he was happily not required to fulfill. He graduated from Napier Field, AL (Single Engine) S/N: O-832675. After receiving training in P-47s, he was assigned to the 353rd Fighter Group 350th Fighter Squadron and flew his missions with the Eighth Air Force. He graduated from Columbus Field, MS (Multi-Engine) S/N: O-831779. He was assigned as a B-17 copilot for the John J. Opman crew and then to the 448th Bomb Group 714th Bomb Squadron on November 15, 1944 and flew his missions with the Eighth Air Force. (See book “A Replacement Crew in the ETO” by John C. Rowe). He graduated with the Class of 44F from Moody Fld, GA. O-833800 and was assigned to stay there for his first work. He flew B-17’s in WWII and F-80’s in Korea. He was base commander at NKP during Vietnam. Retired as Colonel. He graduated with the Class of 44F from Moody Fld, GA. S/N: O-833802. He was assigned as a B-17 pilot to the 401st Bomb Group 614th Bomb Squadron and flew his missions with the Eighth Air Force. Ralph left flight training while in Advanced. He went into gliders at Lubbock Field, TX, and then gunnery at San Antonio. Vernon graduated from Napier Field, and 1st assignment was at Napier. He then instructed AT-6’s at Greenville, Miss. and flew B-17’s. He did not get overseas. He graduated from Moody Fld, GA. O-833804. He was initially assigned to stay at Moody. Then he was a B-24 copilot on the Victor L. Neel crew assigned to the 467th Bomb Group 788th Bomb Sqdn on May 29, 1945. His base in England was at Rackheath. He graduated from Columbus Fld, MS. S/N: O-831786. Then he flew B-24’s with the 449th Bomb Group 718th Bomb Squadron and served with the 15th AF in Italy. He graduated with the Class of 44F and served with the 14th A.F. (“Flying Tigers”), 51st Fighter Grp. 25th Fighter Sqrn. in Yunnanye, west of Kunming, China under Chenault. 1st Lt. He graduated from Columbus Field, MS. S/N: O-831797. Then he flew B-17’s with the 305th Bomb Group 365th Bomb Squadron while serving with the 8th AF in England. S/N: O-831803. He was in the 446th Bomber Group 706th Bomber Sqdn. 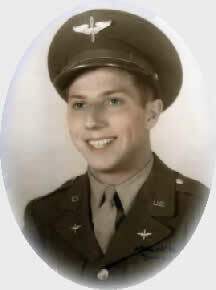 On Dec. 27, 1944 he was the co-pilot on a B-24J (S/N: 42-51312) with a crew of 10 on a mission to Kaiserslauten, Germany. Over the target the plane took a direct hit of flak. Fire started in the bomb bay and wing between engines 1 and 2. Six of the crew bailed out over the target area. Rickman, the pilot, radio operator and tail gunner stayed in the plane trying to get the fire under control. They made it to Belgium where they decided they had to bail out. At that point they were in friendly territory and made it back to their base (MACR #11252). He went on to serve in Korea and Vietnam. He graduated from Napier Field, AL (Single Engine) S/N: O-632095. He was assigned to Randolph Field. Later he was with the 22nd Bomb Group, 408 Bomb Sqdn at Clark Field, Philippines. On June 22, 1945, he was co-pilot of an 11-man crew on a B-24D (S/N: 44-41647) on a mission to Toshien, Formosa. Their plane did not arrive at the rendezvous point, and heavy black smoke was seen at 10,000′ in the area. The plane may have been hit or blew up. 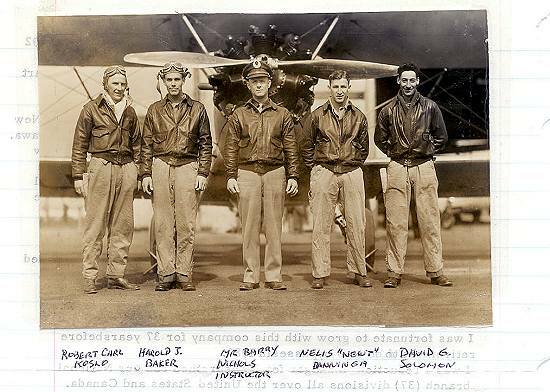 Ricks and the entire crew were never found and declared Killed in Action on June 22, 1945. (MACR #14674). 2nd Lt. He graduated from Napier Field, AL (Single Engine), S/N: O-832699. He was in the 356th Fighter Group 361st Fighter Sqdn flying P-51s with the 8th AF. See http://www.littlefriends.co.uk/ for a picture of his plane. He was in the 323rd Bomber Group 456th Bomber Sqdn, serving as a pilot of a B-26 for 40 combat missions over Europe. Click here for an article on him. He went to the Bradley Field (CT) Combat Crew Training Station in fighters (flying P-47’s). He was in the 451st Bomber Group 726th Bomber Sqdn completing 35 missions as a navigator on a B-24 based in Bari, Italy. On one especially perilous mission the anti-aircraft fire was so close and so loud that Burt’s hearing was permanently impaired. This haunted him all his life and affected not only his hearing but his equilibrium. After completing his thirty-five missions he was awaiting transportation back to the states at a base in Naples, Italy. He was watching a high stakes poker game. He had played a little poker earlier and realized he wasn’t very good at it. He resisted the urge to join in until the guy he was standing behind tapped out. When he got up he invited Burt to sit in. Ignoring his earlier experiences he did, and wound up losing his entire $2000 dollar nest egg. When they got back to the states he had to borrow 50 cents from his bombardier Malcolm Hardesty to call home. Died Jul. 3, 2007 and resided in Aiken, SC. Flight officer, later becoming a LTC. He may be the unknown person in the Neal crew on this page. S/N: O-832718. He was in the 356th Fighter Group 359th Fighter Sqdn, according to The 356th Fighter Group in World War II. Ken Landis was his Instructor at Douglas. Later he was flying B-26’s in the 323rd Bomb Group. On his 37th mission he was shot down, bailed out over friendly territory, and came out OK. He resigned as a 1st Lt. just before the Korean war. Graduated with the Class of 44G, S/N: O-835388. He retired in the USAF reserve as Major in August 1964. Died June 4, 2009 age 88. He graduated from Napier Field, AL (Single Engine), S/N: O-832720. He was in the Combat Crew Training Station at Camp Springs, Washington, D.C. when he was killed in a ground crash in a P-47G (S/N: 42-2527) 3 mi NE of Easton, MD. Ed Mulvey was his instructor at Douglas. He graduated from Napier Fld, AL. with the Class of 44F, S/N: O-834670. Later he went to Seymour, IN. for Twin Engine training. 2nd Lt.
Click here for his graduation picture. He became a bombardier graduating with the Class of 44-13 from San Angelo Field, TX on September 30, 1944 (see the book Bombardier). He graduated with the Class of 44F from Napier Field, AL. S/N: O-834681. He graduated from Napier Field, AL. O-834685 and served with the 384th Bomb Group, 545th Bomb Squadron which was assigned to the the 8th Air Force in England. 1st Lt. He graduated from Napier Field, AL. O-832741. He was assigned to P-40 training. Later he was flying P-47’s in the 8th A. F. in England. Graduated from Napier Fld, AL. O-832749. Was assigned to Randolph Field and then to Cochran Field, Ga. 1st Lt. Graduated from Columbus AAfd, S/N: O-831854. 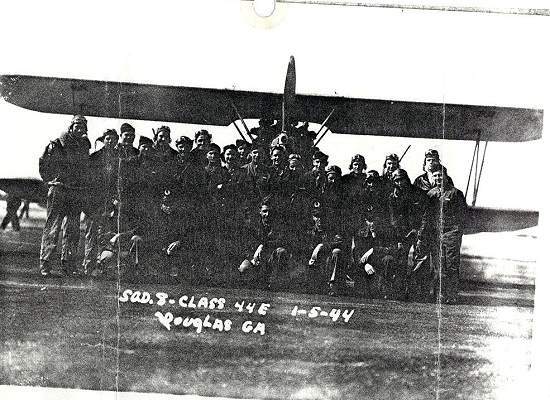 Was in the 007th Bomb Group, 436th Bomb Sqdn as copilot in the McNay B-24 crew. He was sent home from the CBI theater on 20-Oct-1945. Roman Schwartz was his Instructor at Douglas. He graduated from Napier Field, AL., S/N: O-832755, and was assigned to Randolph Field. Later, his B-24 was shot down in China on his 18th mission. He and his crew walked out with the help of Mary Knoll Priests, Communist Chinese and National Chinese Armies. Click here for more information. S/N: O-834706. He was in the 459th Bomb Group 757th Bomb Sqdn. He received the Air Medal. Also served in the Korean War. He is documented as a Captain in the USAF reserves in 1958. 2nd Lt. Retired as LTC. He graduated with the Class of 44F from Moody Fld, GA as a Flight Officer, S/N: T-63870. Assigned to 12th AF in Italy flying a C-47. Also flew air evac and resupply in Korea. Retired as Major.